Kathleen Kane may have resigned, but that’s not stopping a Pennsylvania House subcommittee from trying to impeach the state’s former attorney general. 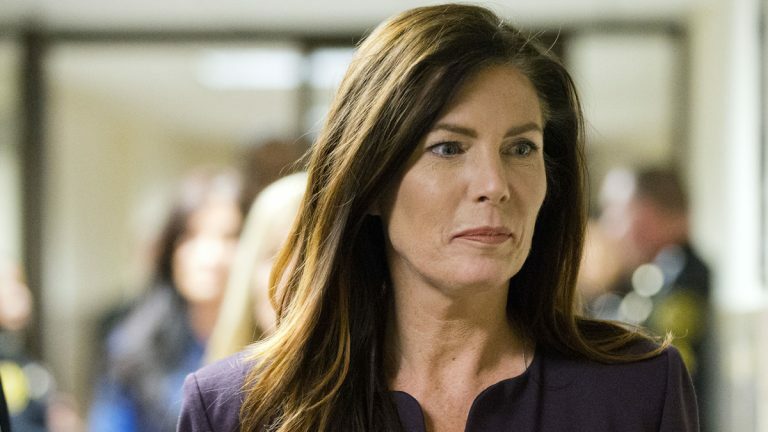 The committee probe into Kane’s affairs has been ongoing for about six months. It’s aiming to put out a report on Kane’s damning — but noncriminal — deeds soon, said Rep. Todd Stephens, R-Montgomery, who chairs the group. Going forward with the impeachment, regardless of the fact that Kane’s no longer in office, is in the public’s best interest, he said. Impeachment is the only legal method that would ensure Kane never holds public office again. Stephens said he isn’t sure when the report will be finished. When it is, it will go before the House Judiciary Committee, which will decide whether to vote to recommend Kane’s impeachment to the full House. The entire impeachment proceeding has a tight deadline — Nov. 30 — when the current House committees expire.